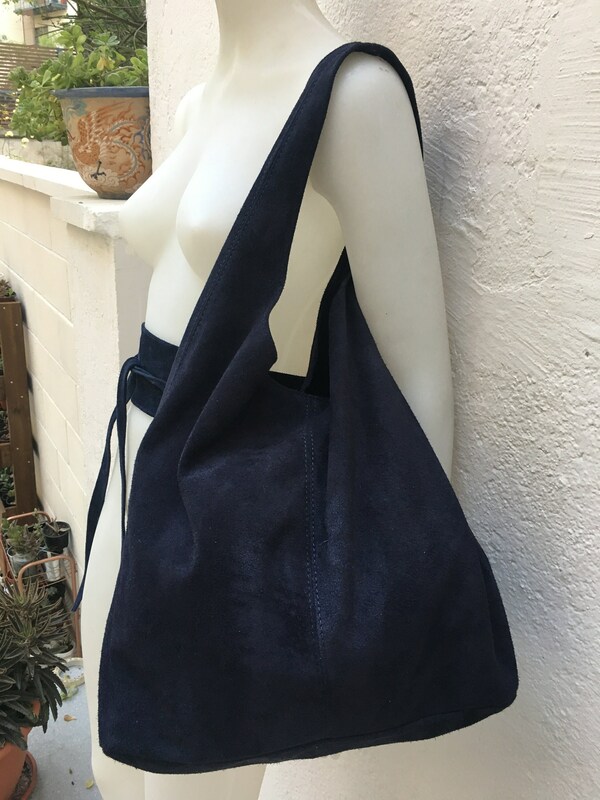 Slouch suede bag. 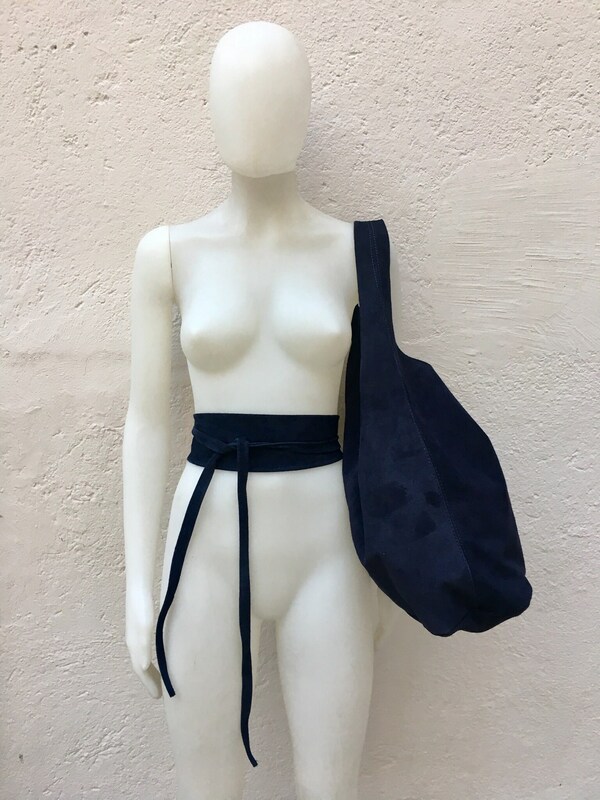 LARGE tote leather bag in NAVY BLUE with matching genuine suede leather belt in a very similar BLUE shade. 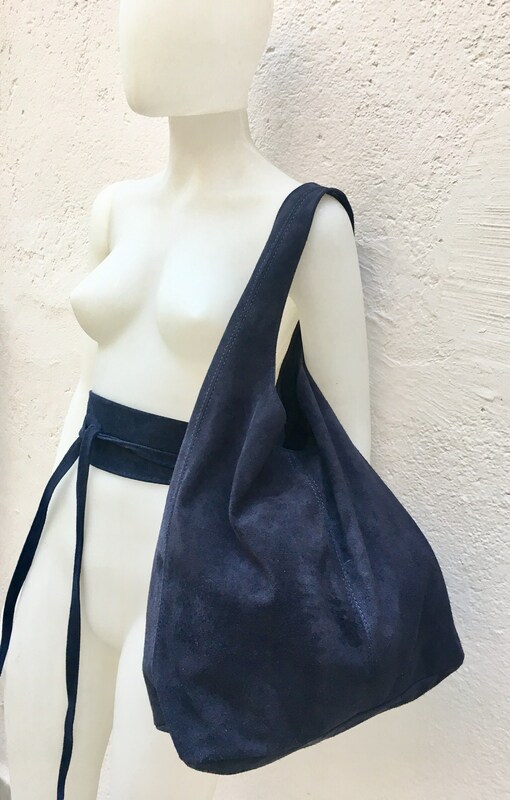 Natural genuine SUEDE leather. NOT LINED. We added a small leather zipper pouch for your mobile phone and/or cards or money. It ist attached to the inside of the bag by a metal chain. The bag is closed by a metal clip at the center. 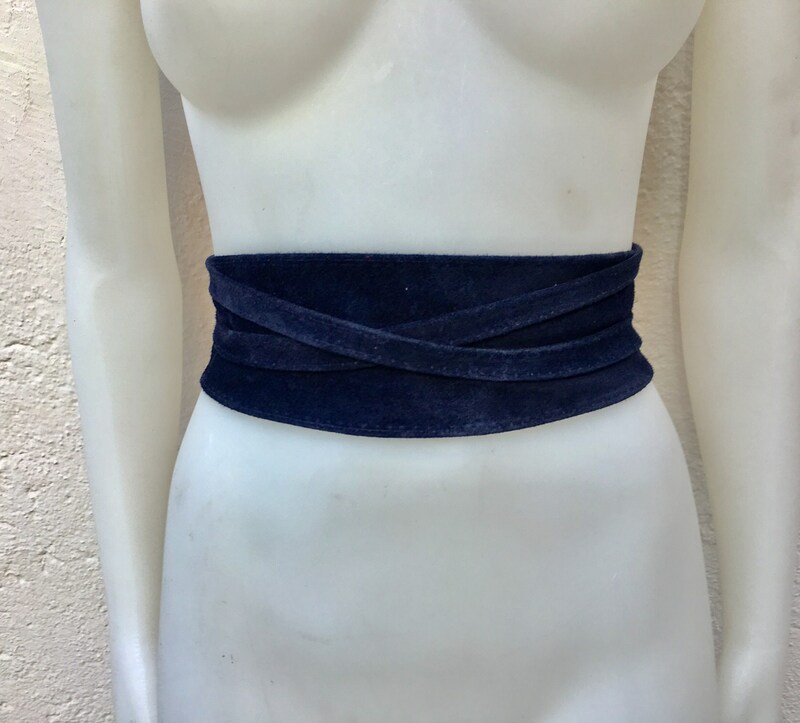 The belt is 220 cm (86 inch) long and 8 cm (3 inch) at its widest (front) it gets smaller towards the end up to 1 cm (0,4 inch). 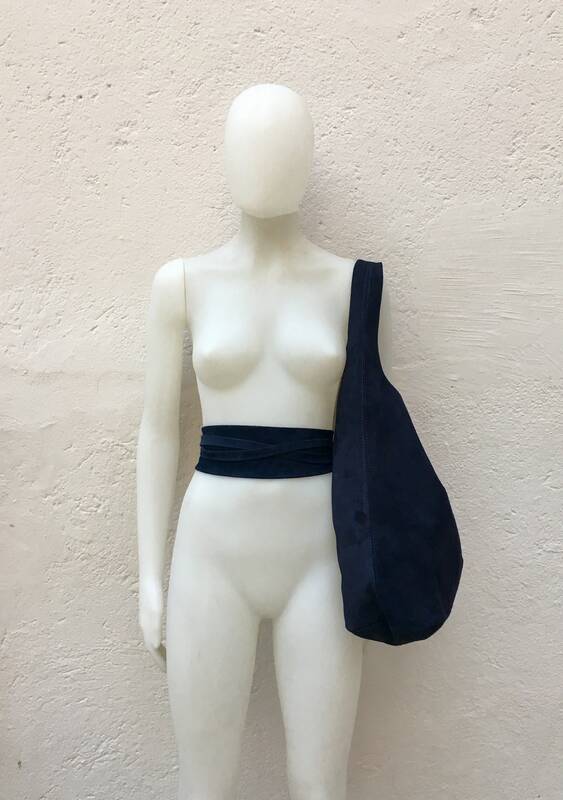 The bag and belt can also be purchased separately.